255 lakh tonnes of sugar has been produced till end of May 2012, registering a growth of 8% as compared to same period last year. Uttar Pradesh has produced 69.59 lakh tonnes of sugar till end of May 2012, a jump of 18% over last year. Cane recovery is at 9.07% as compared to 9.14% last year. Maharashtra has produced 89.67 lakh tonnes of sugar till end of May 2012 as compared to 89.15 lakh tonnes same period last year. Cane recovery is at 11.64% as compared to 11.32% last year. In Karnataka and Tamil Nadu, the sugar production is at 37.27 lakh tonnes and 18.00 lakh tonnes respectively. Tamil Nadu has recorded a 29% jump in sugar production compared to the same period last year. The crushing operations in about all States have ended including in Uttar Pradesh, Maharashtra and Karnataka. 39 mills are still operational in Tamil Nadu. 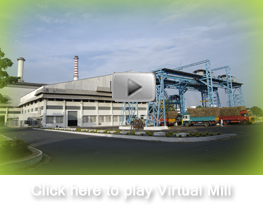 Some mills in Karnataka would restart their crushing in August 2012. Another 5 lakh tonnes is expected to be produced in the balance period of current season in these two States. ISMA had projected the production figure of 260 lakh tonnes in July 2011 which is going to be easily achieved for the current sugar season.